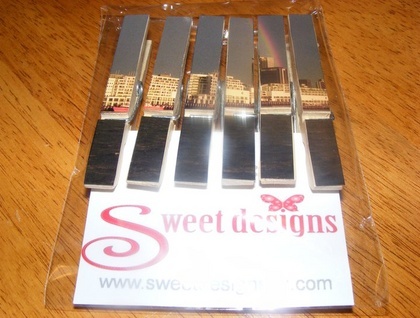 These cute fridge magnets capture a Ranbow over Auckland. They will brighten up your fridge at the same time as helping you keep it organised. They are also great for your magnetic noticeboard in your office or study. Easily posted they make great gifts for overseas.